List of language used in class by teacher and students. 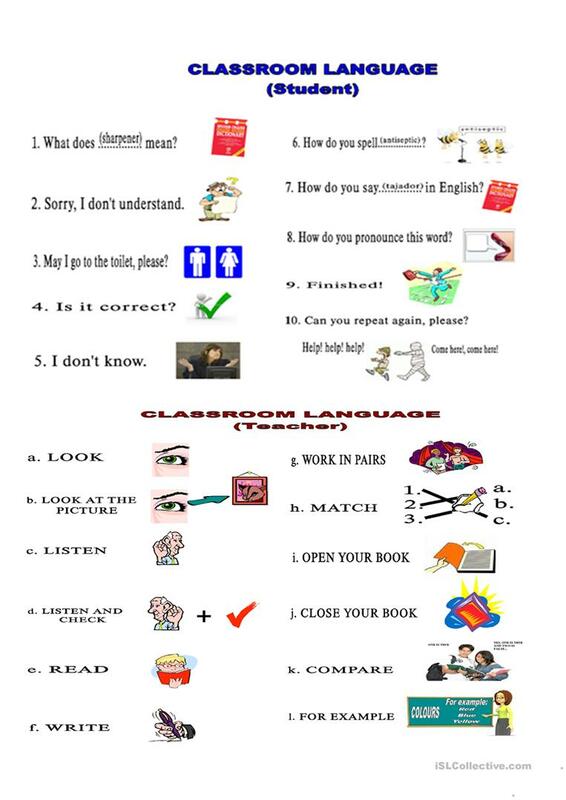 This list of language is represented by pictures so that your students can remember their meanings everytime they want to use it. The above downloadable teaching material is meant for adults at Beginner (pre-A1) and Elementary (A1) level. It features the theme of Classroom. Flordelvineto42 is from/lives in Peru and has been a member of iSLCollective since 2011-07-21 02:10:37. Flordelvineto42 last logged in on 2018-11-10 02:43:09, and has shared 1 resources on iSLCollective so far.